Six years of war in Syria means many of the country's youngest citizens have never known a time of peace. RT visited the war-torn country to speak to children who are all too familiar with the death and violence that plagues Syria every day. It is estimated that more than 8 million children have been affected in Syria's ongoing civil war, forced to focus on survival while kids in other countries enjoy carefree days and playing with toys. RT's documentary “Growing Up with War: Children of Syria” gives a voice to some of the country's most vulnerable, who recall tragic moments of death, fear and survival. "Part of my skull is missing here," he tells RT's Maria Finoshina, who has covered the Syrian civil war since its beginning, pointing to the place where the bullet hit. The injuries he sustained on that fateful day also left him unable to move one arm and one leg. "I used to get dressed myself, but now I can't. Now I can't do anything myself...I can't even go to the toilet on my own," says Ahmad, who lives in Aleppo and hopes to be a general someday. 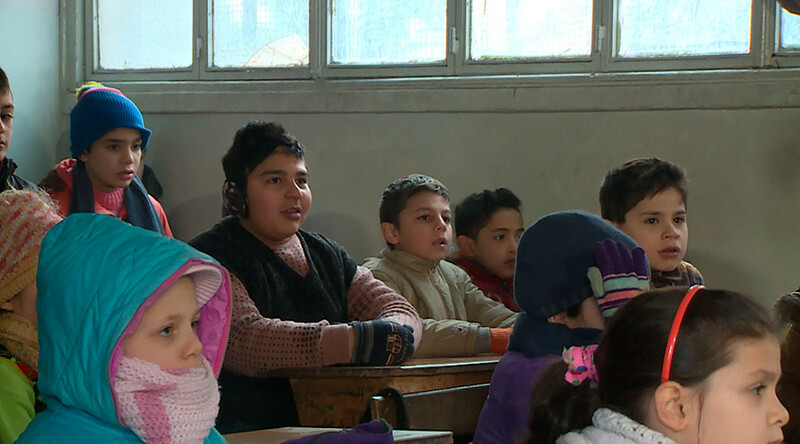 Leith, 9, recalls the moment he had to watch his father and mother be murdered on the roof of his home in Homs. "We were asleep when they began to fire. My father saw them from the window, firing from the windows opposite our house," he explains. "My dad fought back, we all went up onto the roof, then they started throwing bombs and shooting at us on the roof, until my parents were both killed," he says, referring to his mother and father as "martyrs." In addition to watching his parents die, Leith also watched three other family members be killed in front of him. "I remember everything that happened to me," Leith says, bringing to the forefront the very real effects that the country's war is having on those who are forced to watch it with the most innocent of eyes. Samir, 11, shared yet another way the country's war has affected children – by forcing them to grow up far before they should have to, trading school for work to survive. 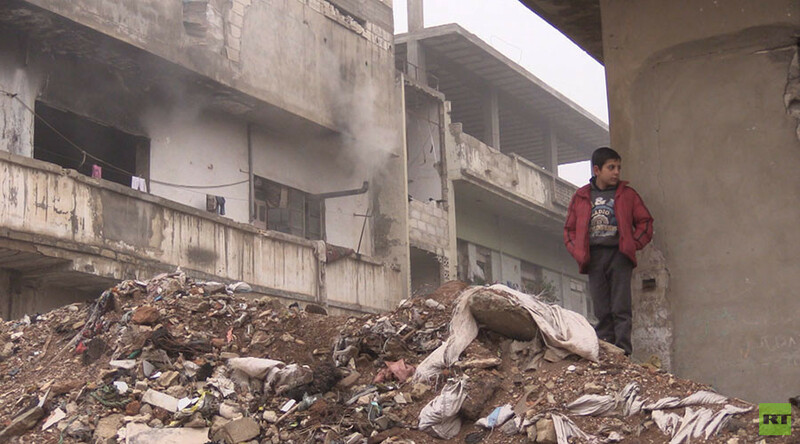 "I work at the mill from 9am to 9pm," explains Samir, whose father was killed in a battle. "I have to provide for my family," the 11-year-old says. But although he works 12-hour days, 6 days a week, he brings home just 8,000 Syrian pounds a month – less than $16. Samir goes on to admit he is not happy, but that he will "endure" the situation because he has no other choice. The tragedies of war are also very real for Mahmoud, a six-year-old who was born without arms. His already difficult life was made worse when a mine exploded, killing his uncle and forcing doctors to partially amputate the young boy's legs. "He was bleeding, he was between life and death, but it was his fate to survive, and live to carry on like he is now," his caregiver explains to Finoshina. But despite Mahmoud's struggles, and a neighbor who said the young boy would be better off dead, the young boy still manages to smile – proving that resilience and hope can prevail even in the toughest of situations.